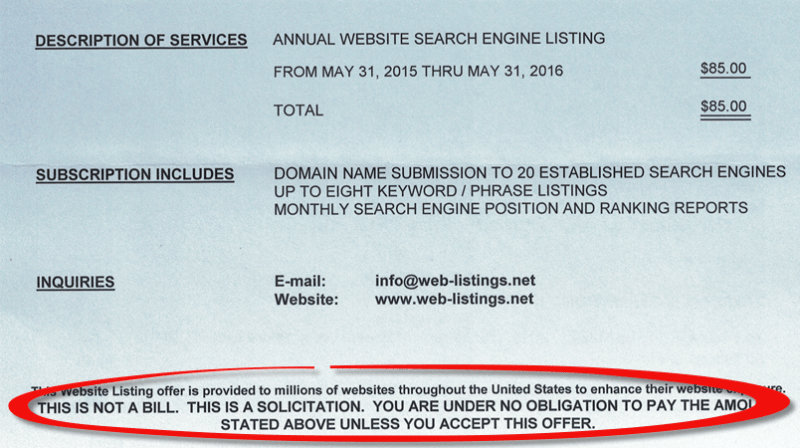 When you buy a domain name, you’ll start to get solicitations in the mail. While some may be legitimate, most are phony invoices trying to get you to pay some sort of bill that you don’t owe. 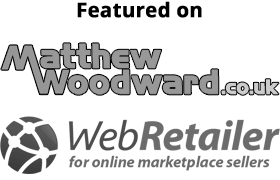 Some of the services include overpriced domain name renewal, yellow page listings, website directory listings, and search engine submission services. Almost without exception, they’re for products and services you don’t need and you should ignore them. The only correspondence you need to worry about is from your domain name registrar (and most of those come via e-mail). The invoice does contain the following disclaimer: “This is not a bill. 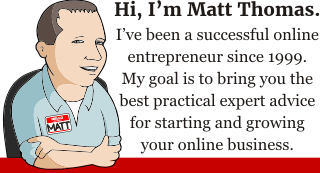 This is a solicitation. You are under no obligation to pay the amount stated above unless you accept this offer.” Unfortunately, the scam preys on the fact that many businesses end up just paying small invoices that look legitimate. If it costs them thirty cents to mail each letter, even with only a one percent response rate, they still have better than a $50 profit for very little work. 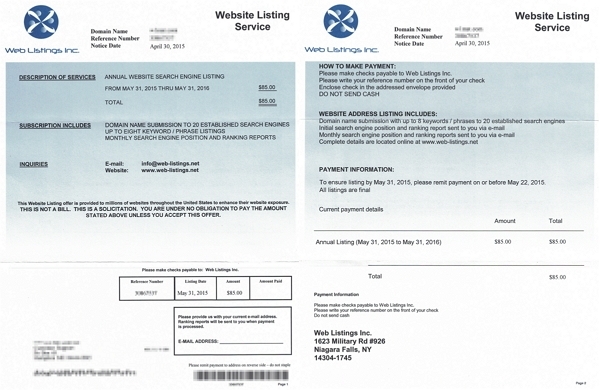 In fact, the Better Business Bureau of Upstate New York contacted Web Listings Inc. in February of this year asking them to “provide substantiation that their solicitation was not misleading.” They didn’t receive a reply. The company’s address is 1623 Military Rd. #926 in Niagara Falls, NY. It’s a U.P.S. Store mailbox located in a strip mall. There is no phone number given, only an e-mail address ([email protected]). If this post helped you avoid falling victim to this scam, please leave a comment below! I received a bill and they want it paid by December 1. Well I have tried cancelling these at least three times and just get the run away. I do not want this nor can I afford it. Each state usually has a department that handles consumer complaints against businesses. If you feel that a solicitation is misleading, you should contact the office of the attorney general in your state and provide them a copy of the invoice.